Our collection of patented Personal Care ingredients include Mother Nature’s powerful emulsifier Vegelatum® petrolatum replacements, aloe vera gels, unique flax extracts, and plant oils. Natunola has developed a collection of sustainable, natural and patented Personal Care ingredients that uniquely address the major needs of the global Personal Care / OTC market. These technologies have all been developed as a perfect balance between natural sources and real performance benefits. Consumers today expect functional personal care products with more natural ingredients, such as: the replacement of petrolatum. 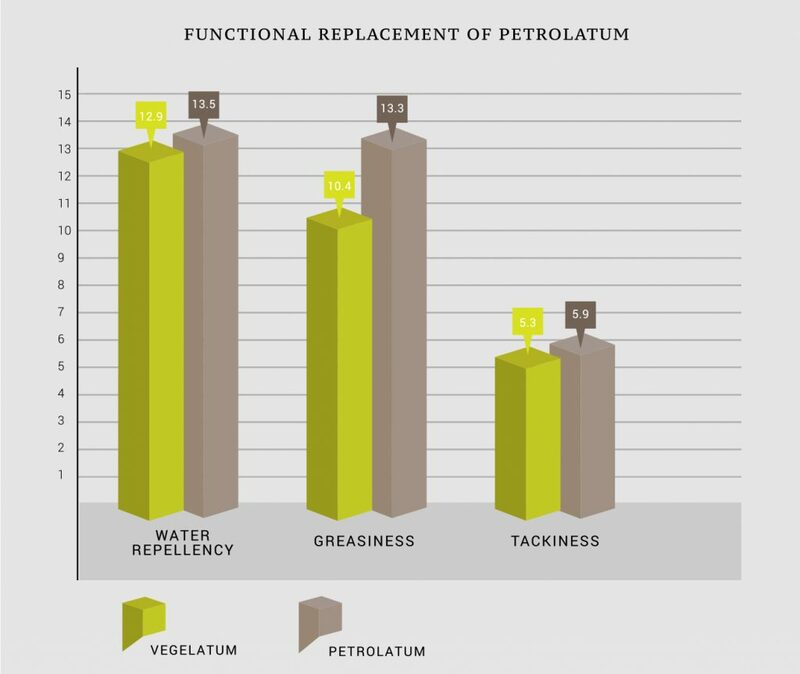 Vegelatum® remains the industry standard in natural and effective petrolatum replacements, and consists of a wide offering of vegetable gels leveraging different plant oils, for various personal care applications. Our patented Vegelatum® gel technology completely changes the physical state of plant oils without impacting its benefit profile, and is particularly useful in formulating anhydrous or low water systems. We have developed a full line of natural, functional replacements for petrolatum in a variety of formulations for Personal Care ingredients that uniquely address the major needs of the global Personal Care/ OTC market. This technology has been developed as a perfect balance between natural sources and real performance benefits. Each product was carefully designed to harness the natural properties of the selected plant oil in a stable, aesthetically pleasing vegetable gel form. The resulting products have been proven to have the comparable water repellency to petrolatum, with a less greasy and less tacky skin feel. Vegelatum® ingredients are particularly well suited for building viscosity in anhydrous (non-water) formulations, including lip balms, lip sticks, sugar scrubs and diaper creams. We have demonstrated that formulations using Vegelatum® instead of petrolatum (1:1 replacement) have increased thermostability and a significantly higher melting temperature! Typical usage levels in anhydrous products is 10% +.